Free family fun with Whizz Bang Science! 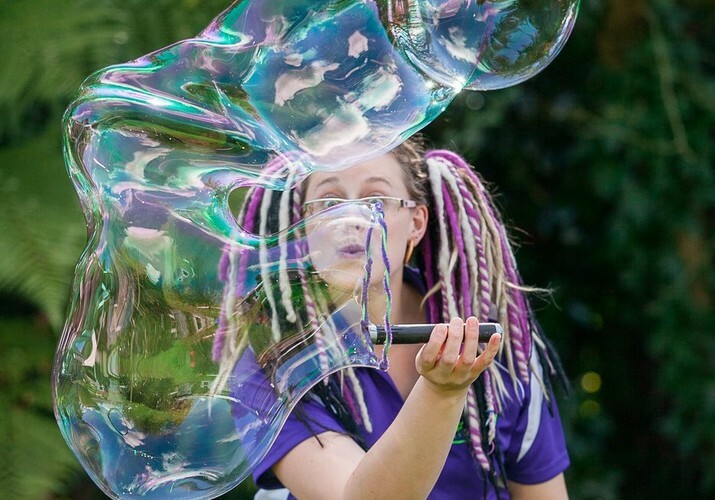 Join our knowledge-a-bubble presenter, Emma and discover the amazing science behind soap bubbles. Explore and experiment making your own bubbles of all shapes and sizes with our unbelieve-a-bubble stretchy water! Learn how to put a bubble in a bubble, or try making a different shaped bubble! Suitable for all ages. Bring: A hat and water bottle (in case it’s a hot day). Equipment for the workshop is provided. This is a Cambridge Autumn Festival event.